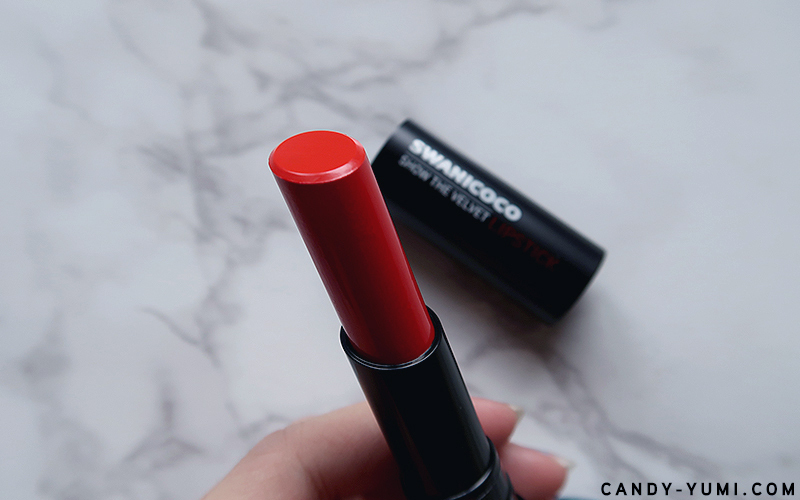 50Gram X Swanicoco - Show The Velvet Lipstick in Juliet Red review | C A N D A C E .
Hi kawans!! 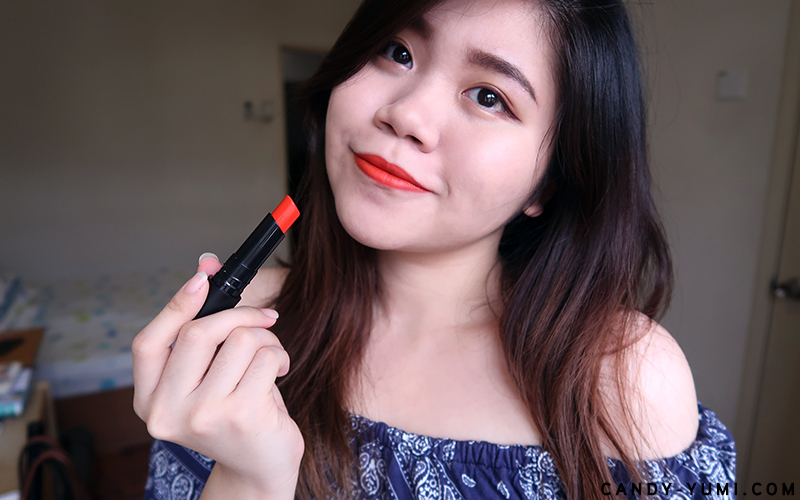 New lipstick review alert! 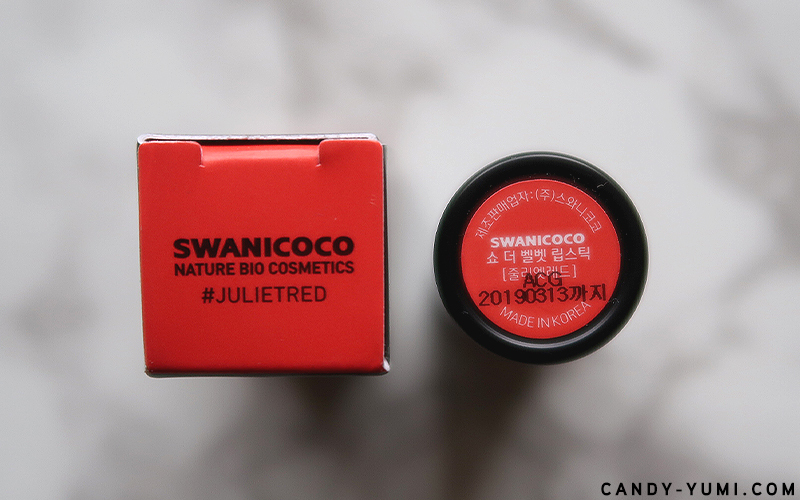 Swanicoco is one of 2018's hottest brands in Korea specialized in formulating natural cosmetics using biotechnology and 50Gram(yes, the famous online florist) is the first in Malaysia to sell Swanicoco's Nature Bio Cosmetics! 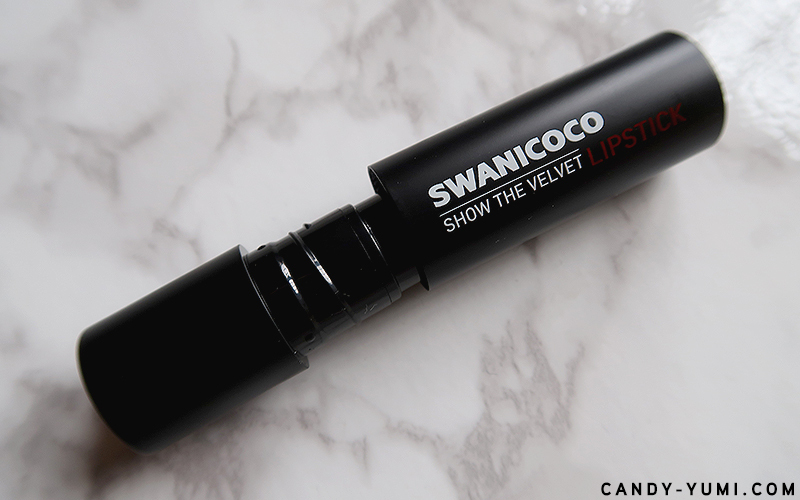 Thanks to 50Gram, a couple days back I received one of Swanicoco's Show The Velvet lipsticks in the mail and after trying it out for a few days I'm ready to share my review with you guys! PS. 50Gram is also hosting a giveaway and all the juicy details will be at the end of this post so keep your eyes out for it! Before hopping into the review let me share with you guys a little more on Swanicoco. The brand started off by creating naturally fermented soaps through boiling medicinal herbs, then fermenting them. From there on, the brand grew into a K-Beauty brand known for their natural bio cosmetics. When fermenting cosmetics, the particles become smaller, thus enhancing the absorption rate on the skin. 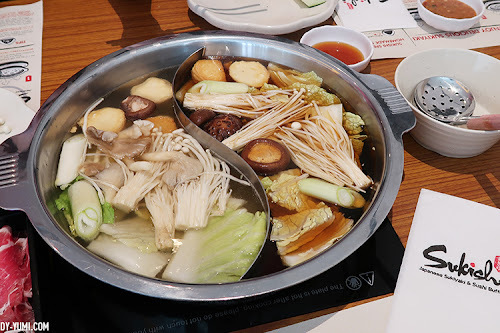 Apart from that, this process also helps to generate amino acids and antioxidants which is believed to treat damaged skin while providing anti-aging benefits. 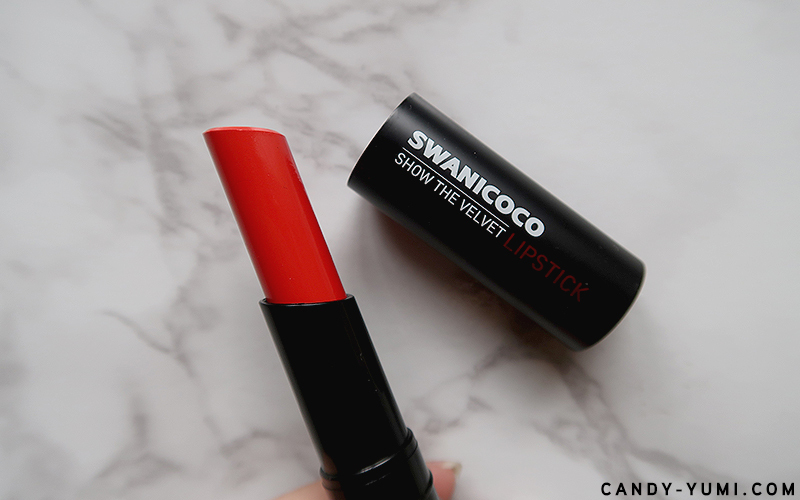 Now that we've got to know Swanicoco a little better, let's take a look at the lipstick. 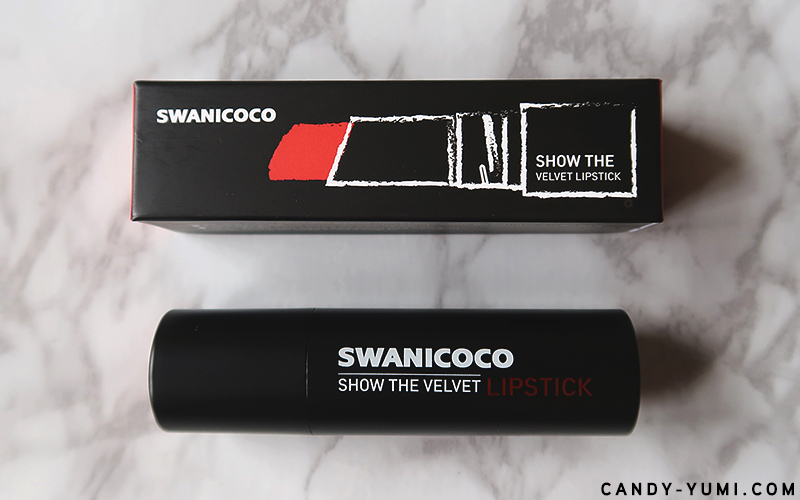 Swanicoco's Show The Velvet lipsticks are a series of velvet lipsticks featuring fun and vibrant shades. The lipsticks contain natural moisturizing ingredients like carnauba wax and natural oils to keep your lips moisturized. 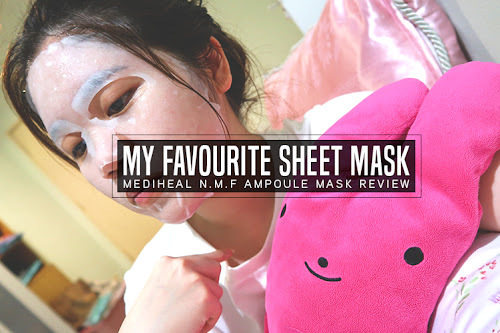 Apart from being moisturizing, the attractive colour is supposed to be long-lasting too. This series has a total of 3 shades - #Pink Blossom, #Shine Orange, and #Juliet Red. 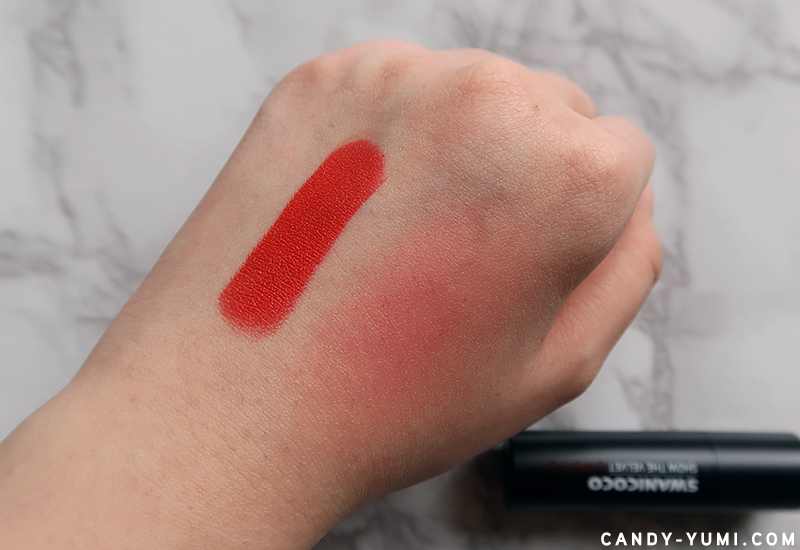 Out of the 3 shades mentioned, the one currently available for sale on 50Gram is the shade #Juliet Red. This will also be the shade I'm reviewing today! The lipsticks are retailed at RM88.85 each on 50Gram. The price tag sounds a little hefty but there's a promotion going on right now so be sure to read until the end to find out more! By the way, this lipstick is limited edition meaning once it's sold out on 50Gram, they will not be restocking em again! Here's how the lipstick packaging look like. It's a simple black casing with the product name printed on it. The casing has a pretty sturdy plastic material with a smooth matte finish to it. The bottom of the packaging matches the lipstick shade and along with it, the shade name is also printed. On the lipstick's sticker label itself, you'll find the expiry date of the lipstick. This lipstick features a twist-open packaging. This way I won't ever have to worry about not closing my lipstick properly and painting my whole bag red!! Finally, here's how the lipstick looks like. I got the shade #Juliet Red and as the name suggests, right off the bullet you can tell that this is a fiery bold red colour with a tiny hint of orange. This is the amount of product you'll get. From the looks of it, a shade as bold and bright like this is usually something I'd only wear on special occasions meaning this amount of product is probably going to last me forever. Though no worries, in a bit I'll show you how to work this into an everyday lipstick! 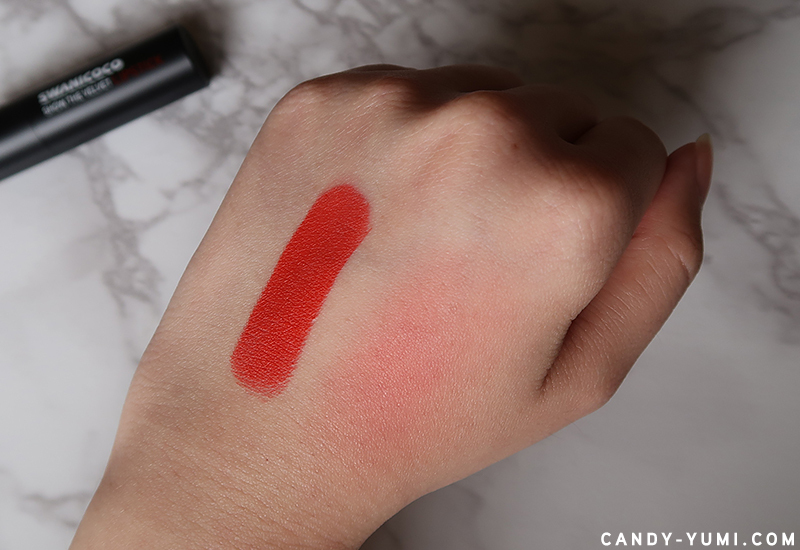 I have a tendency to use lipsticks as a cheat form of 'blusher' so here's a single swatch of the lipstick in it's full glory on the left and on the right is how the lipstick would most likely look like when a small amount is blended out as a blush. 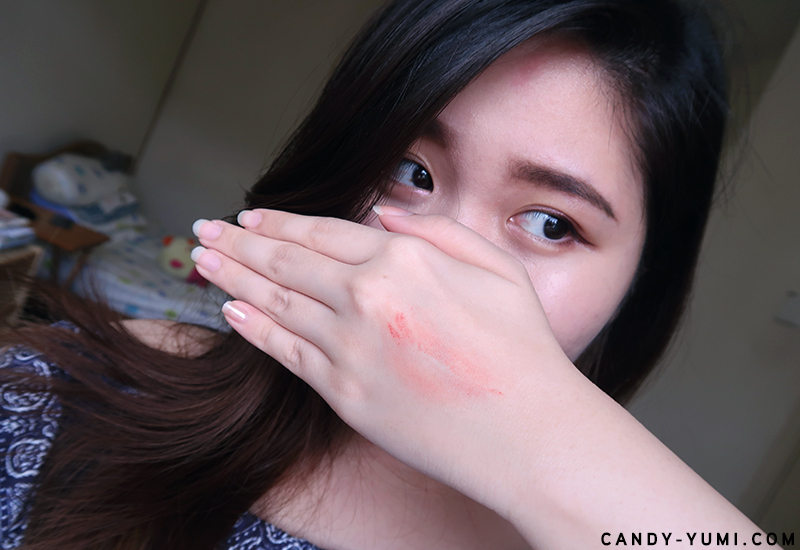 From the swatch on the back of my hand, the lipstick looks super creamy and pigmented. Not patchy looking either. I've only swatched it once and the fiery red colour is popping! The 'blush' attempt does seem like a nice rosy flushed colour but you really gotta take note that a little goes a LONG way. 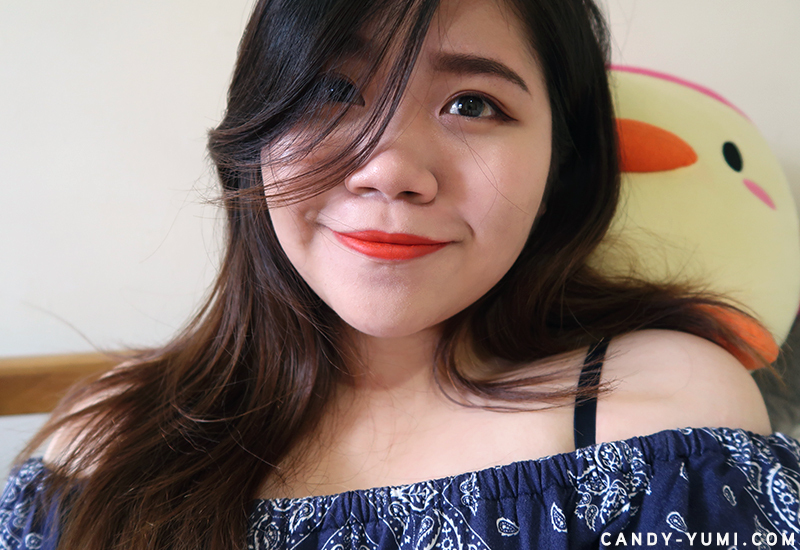 To be honest, I don't really know who'd in the right mind would ever think of using this bright red lipstick as a blush but I just had the urge to try and see how it'll go on my hand haha. Personally if you asked me, I wouldn't recommend using this as a blush at all but if you really insist on trying, I recommend wearing it underneath a sheer-light coverage foundation ///Tip: Blend FAST!/// Also if you're into the deep rosy pink cheeks, you can easily build the intensity of this "blush". Moving on, it's time for some 'act vain' lip swatches! Hello pale bare lips, let's see how much a little bit of lipstick can transform one's complexion. and viola. I think I went from looking pale to looking ready for a dinner date kan?? 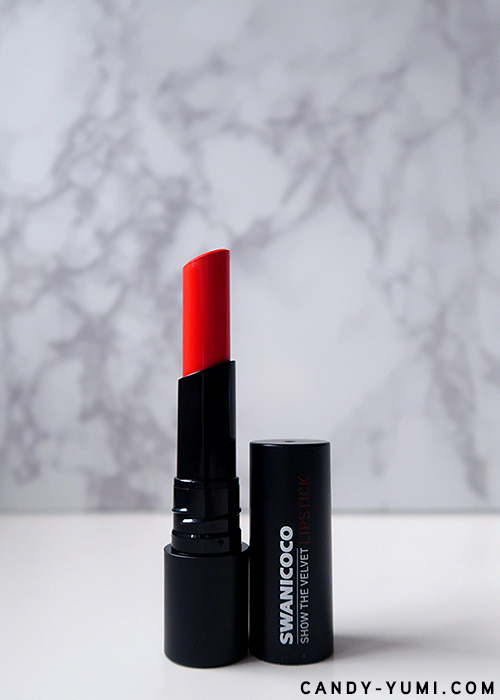 Okay so true to it's colour, #Juliet Red is a bright fun party red shade. The lipstick has a velvet finish to it thus it will allow you to 'cheat' a matte lip look while keeping the visibility of the fine lines on your lips at it's minimum. It doesn't feel drying on the lips but you will feel a powdery/velvety feeling though. Here's how the lipstick looks like under a different indoor lighting away from the window. It is not smudge proof so if you work fast enough, you technically 'can' use this as a quick emergency blush/eyeshadow! Not entirely kiss-proof but for a bold red lipstick, it's actually not bad! For those of you that would go "Huh?? 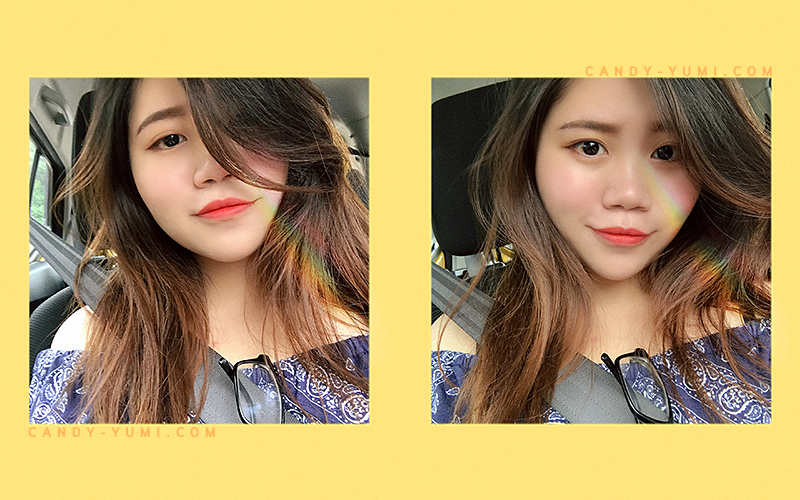 I cannot wear such a bright red lipstick everyday leh!" Okay! I gotchu fam! Instead of applying the lipstick onto your lips the usual 'glide all over the lips' way, try dabbing the lipstick all over your lips gently to get a coral-red-pinkish colour instead. This gives you a hint of colour suitable for every day wear and if you're planning a night out after that, just switch up your look by going full on bold red lips. By the way, wearing it like this also takes away the powdery/velvety feeling on the lips you'll usually get when wearing velvet lipsticks! Another 'pro' to wearing your lipstick like this is that the fine lines on your lips will be way less obvious. Here's my bare totally naked lips. Since most of the time I would forget to exfoliate my lips, I figured it'll be best for me to try this lipstick without exfoliating. Also, when it comes to wearing velvet/matte lipsticks, I usually don't apply any lip balm underneath as I feel that it'll alter the formula slightly. 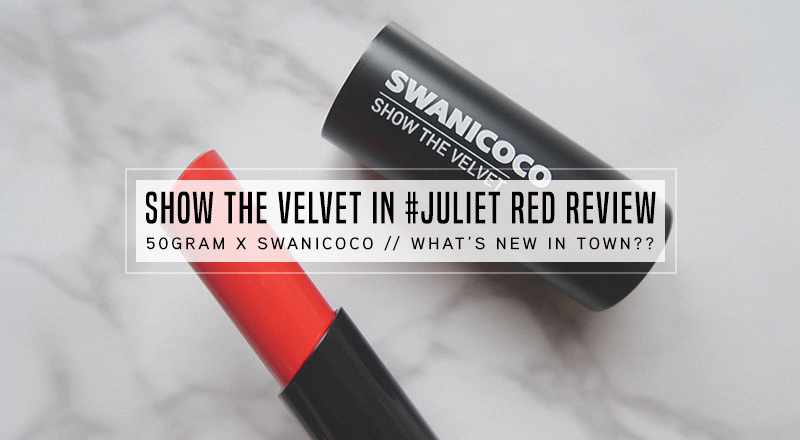 One coat of Swanicoco's Show The Velvet in #Juliet Red! You can see some fine lines on the lips but this is barely noticeable from afar. Finally here's a closeup on how the lipstick looks on my lips when it is lightly dabbed on instead of the usual standard lipstick application method. I personally like this better because my lips feel 10x more comfortable and this colour is so much more wearable for an everyday look! Plus, can you see how much less visible the lines on my lips are? I was testing halfway and since I was meeting my bf for brunch I decided to just wear this out to test especially knowing that our brunch would be an oily one hahaha. This is how Swanicoco's Show The Velvet lipstick in Juliet red(dabbed on version) looks like after having a delicious bowl of Ipoh prawn hor fun. 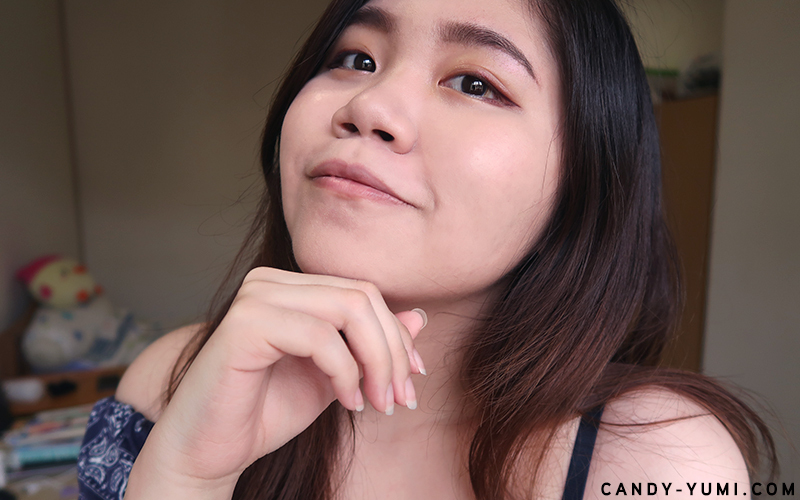 The result shows that the lipstick has successfully survived the oily meal test but instead of looking matte it looks a little shiny now LOL. Comfort (full on red): 6.5/10!! 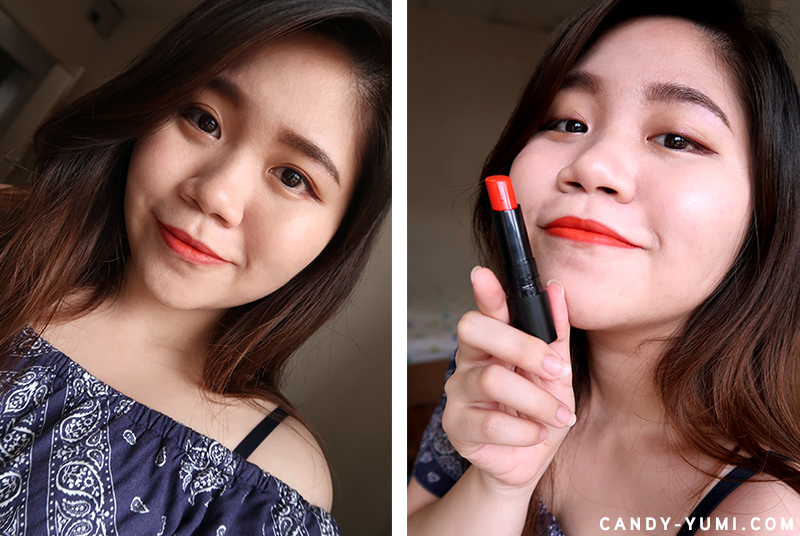 I think my thoughts on this lipstick is scattered all over the post but here's a quick summary on it! When wearing this lipstick or velvet lipsticks in general, there's a powdery/velvety feeling on the lips and in terms of comfort, I kinda have a love hate relationship with that? I like how velvet lipsticks don't feel super drying and they don't accentuate the fine lines on my lips as much as matte lipsticks do but sometimes I do find the powdery feeling a little annoying? The lipstick has a rose scent to it but once you have it on your lips you won't smell it anymore. As for the colour, I love the bold red shade for a dinner night out but I'm not one to wear such a sharp bright red when I'm just out to run some errands. 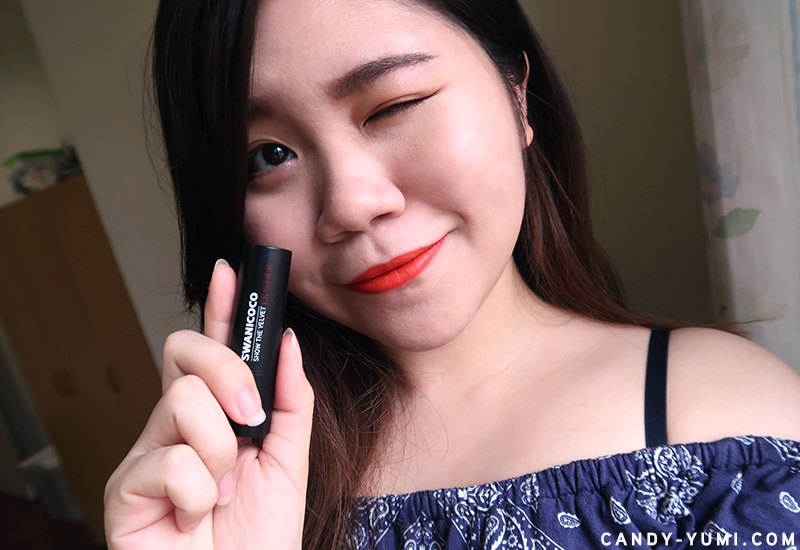 Though with this said, I like how I can simply switch up the way I apply the lipstick and get a beautiful pinkish-coral colour by lightly dabbing the lipstick onto my lips. Comparing the two 'wearing methods' I prefer lightly dabbing the lipstick on then slowly building the intensity from there. 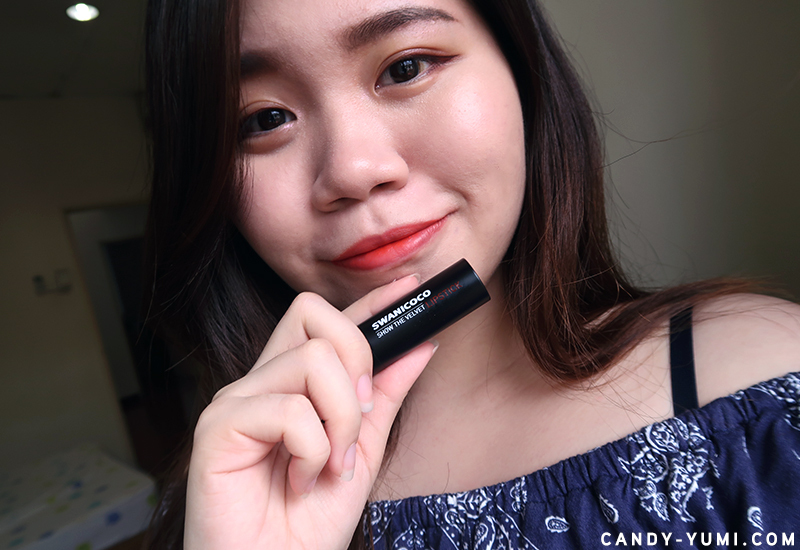 By doing so the product feels way more comfortable on my lips, the colour doesn't look as intense, I can wear that shade everyday, and the fine lines on my lips are way less obvious. In terms of long wearing, I think it's pretty long wearing? It didn't stay on for 24 hours but it is as long lasting as most velvet lipsticks! If I'm wearing the 'dabbed on' method, there's still a tiny hint of colour left on my lips evenly by the end of the day. However if I go full on red, by the end of the day, there's still some colour left but it did look a little patchy. The lipstick is also very easy to remove when using a cotton pad but it did stain my lips a tiny bit. A positive sign is that this is probably the 'least staining' red lipstick I've used. 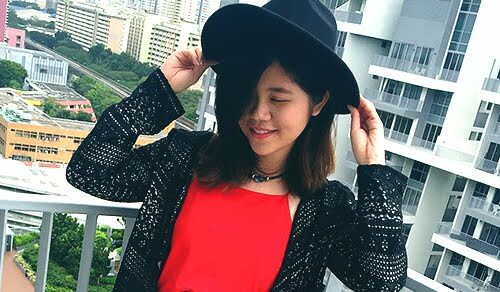 Where + How to buy/win? Yes, win!! I'll get to that in a bit but at the moment, the only place in Malaysia selling Swanicoco's Show The Velvet lipsticks is 50Gram. Nationwide delivery is available so just make your purchase and your lipstick will be shipped to your doorstep! 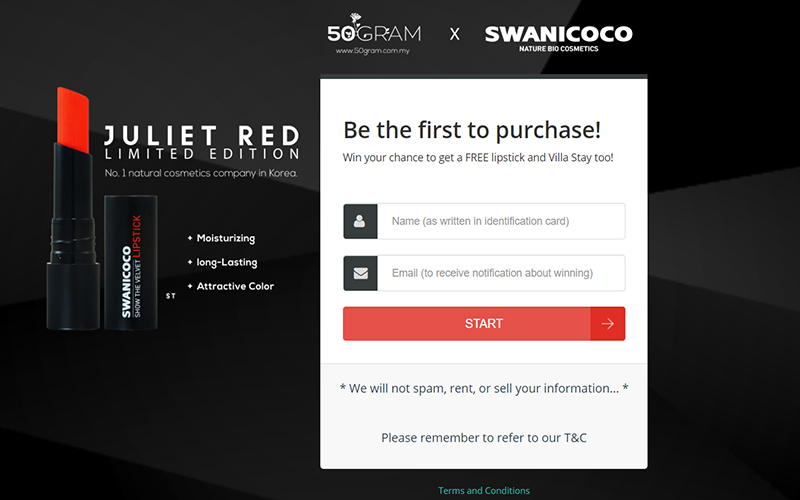 To purchase Swanicoco's Show The Velvet lipstick, all you have to do is sign up this form and once you're done, you will be able to access the product page and at the same time you will also be given your very own referral link! 50Gram is also hosting a giveaway! By signing up, you will be automatically entered in this giveaway to stand a chance to win yourself a free lipstick + a villa stay!!! The more you refer, the more goodies you'll unlock! 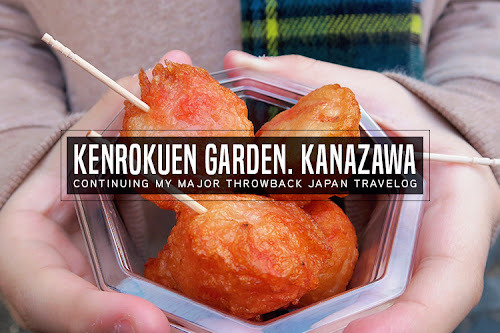 When you get a number of kawans to sign up through your referral link, you will be able to unlock some discounts too! 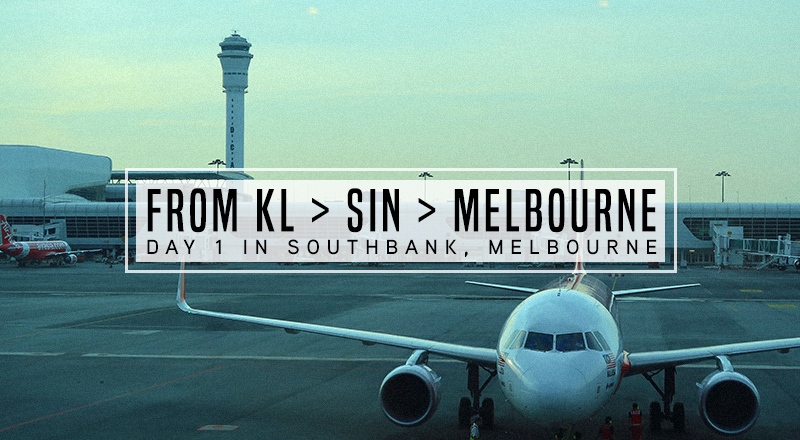 So hurry up and get your kawans to sign up using YOUR referral link (you'll get it after signing up via THIS LINK)! Each person that signs up via your link will grant you 1 referral point. By the end of the giveaway, whomever with the most referral points will be receiving a complimentary stay in a Villa along with a complimentary lipstick! The top 2nd-50th will also win yourselves a lipstick! The product reviewed is sent to me by 50Gram but all opinions mentioned are 100% mine and un-bias!